I started this blog on December 12th 2012 in a fit of righteous indignation about the proposals to introduce a new suite of qualifications called the “English Baccalaureate Certificates” in a post entitled Consultation. At the time, I didn’t think responding to the consultation on EBCs would make any difference; I thought they were inevitable. But I was wrong. Of course, many of the original proposals contained within the EBC idea have made their way into the reformed GCSEs – numbered grading, the removal of coursework – but crucially the notion that rigorous qualifications were only for the most able has not. In the EBC proposal students below the academic standard would have been given a “statement of achievement” instead of a qualification. The reformed GCSEs, for all there is to object to about them, are at least accessible to all students within the same spectrum as the current qualifications – 9-1 encompasses the same range as A*-G.
Following the announcement the EBCs were not going ahead, I felt as though my voice mattered. As though I had made a difference. As though answering the questions which were phrased as if the introduction of EBCs was a fait accompli with answers which rejected that assumption was a strategy which worked. And here we are again. A different education secretary this time – and one who has pledged to “listen to teachers and work with them” – and a proposal that 90% of students should follow the English Baccalaureate. I don’t have an issue with the notion that a broad base of academic subjects open doors for young people in the future. I think all students studying English, Maths, Sciences, a language and a humanities subject to 16 is a pretty good idea. But I also think that all students have an entitlement to a curriculum that suits them, and to a broad range of arts and design subjects. This policy seems to me an attempt to re-introduce the two-tier element of the EBC proposal, where English Baccalaureate subjects would be awarded EBCs and “the rest” would remain as GCSEs. This proposal devalued subjects beyond the narrow EBacc parameters, and although in the new system all subjects will be GCSEs the same dangers are present. The implementation of the policy as proposed will have a fairly obvious and catastrophic impact on arts, PE, design, technology and performance subjects, and the teachers who teach them, as they will inevitably be squeezed out of the curriculum and replaced by new humanities and languages teachers to accommodate the increased numbers taking those subjects. And, in these days of teacher recruitment shortage, I have no idea where they are going to come from. The consultation, which closes on 29th January 2016, is again worded as though the implementation of the policy is inevitable. It doesn’t matter. Find a way to make your voice heard. Question the basis of the questions you’re being asked. Question the assumptions inherent in the consultation questions if you feel they’re invalid. Make your point. If you don’t respond, your silence will be read as agreement, and your complaints will fall on deaf ears after the fact. But now, they’re listening. Someone in the DfE will read your response. It won’t necessarily make a difference – but my experience of responding three years ago shows that it might. Respond to the consultation here – no matter what your views – before the deadline on 29th January 2016.
Who are the new GCSEs for? The first post on this blog, in December 2012, was a tirade against the English Baccalaureate Certificates proposed by the then education secretary Michael Gove. In my first foray into the blogosphere, I was furious with the proposal for two-year linear courses assessed only by terminal exams, awarded numerical grades, only available in selected subjects and accessible only to some students. Fortunately, Gove saw sense and in February 2013 he performed what Stephen Twigg called “a humiliating climb-down” in parliament, claiming that the reforms were “a bridge too far.” The profession breathed a sigh of relief. I too am mightily relieved that instead of those awful EBCs we now have reformed GCSEs – two-year linear courses assessed only by terminal exams, awarded numerical grades, only available in selected subjects. Politics, eh? In truth, the most hateful part of the EBC proposal was that low-attaining students would not be able to achieve them and would instead be awarded a “Statement of Achievement” by their school. My cynical side can’t help but think that this was a bluff – a proposal so awful that was always intended for withdrawal so the remaining policy was seen as a better compromise. At least the reformed GCSEs span the full attainment range and are accessible to all (in theory at least). I have written before about this government’s use of the performance tables as a lever for change, and this is another prime example. Clearly, the DfE wants particular curriculum models in schools, favouring the English Baccalaureate route wherever possible. There is a whole raft of other qualifications and curriculum opportunities available, but they are being squeezed out by the fact that they don’t “count in tables.” You could teach alternative Science qualifications, BTECs and iGCSEs or even unexamined enrichment courses, and the students could get a perfectly balanced, rounded education, but if you want Ofsted to know how good you are you’d best stick to the new GCSEs and fill up the buckets in Progress 8 and Attainment 8 for as many students as possible. Woe betide those subjects that don’t make the cut when Ofqual decides which subjects get to be new-style GCSEs. The summer holiday has given me enough time to pause and think. Who exactly are the new GCSEs for, anyway? All young people are now required to stay in education or training until they are 18 due to the rise in the participation age. This means that the GCSE is no longer the final qualification any young person will take. They will all go on to something else – A-levels, International Baccalaureate, Pre-U, apprenticeships, diplomas, certificates. The GCSE is an access ticket to the next stage. All the accountability measures for schools are focused on qualifications taken at 16, when all young people have to go on to study to 18. Surely, then, the new GCSEs are more about measuring school performance than they are about valuing the achievements of students? We’ve been here before. The Key Stage 3 tests in English, Maths and Science, abolished by Labour in 2008 following a marking debacle, only existed to measure school performance. They were statutory and the new GCSEs are not, but you would be either brave or foolhardy not to play the game, such are the accountability stakes. And, as I’m well aware, the new GCSEs are likely to be the most valuable currency for young people to access academic post-16 provision, so we’d be doing learners a disservice not to deliver them. My wider concern is that the curriculum is being squeezed in an accountability stranglehold so that is consists only of those elements which “count in tables” – and that, I think, is wrong. So what’s the alternative? Well, it is out there. Back in October 2004, the Working Group on 14-19 Reform published its report proposing the replacement of GCSEs and A-Levels with an over-arching diploma. Sir Mike Tomlinson, head of the working group, had established wide consensus for the overarching diploma. He foresaw the raising of the participation age and the need for a coherent qualification and curriculum system which encompassed the 14-19 age range, balancing vocational and academic study. For many reasons (detailed brilliantly in this BBC report from 2005) the government at the time decided that GCSEs and A-Levels were sacrosanct, and rejected the report’s proposals. This remains, in my view, the single biggest mistake in education policy I can think of (and I’ve seen a few). The diploma that was eventually introduced alongside the existing qualifications was a Frankenstein’s monster already doomed at its inception. Rising from the ashes of this butchered mess, however, is a curriculum and qualifications proposal in the style of Tomlinson that I can really get behind. The Headteachers’ Roundtable have proposed their own qualifications framework – an overarching diploma-style approach incorporating existing qualifications into a true baccalaureate. This wasn’t on the agenda when they met with Tristram Hunt in July this year, and I can’t imagine that there will be much appetite for further curriculum reform after the complete overhaul that has happened over recent years. But it is sorely needed, as the system we are moving to is not fit for purpose and runs the risk of squeezing much that is good, important and necessary out of schooling altogether. Tony Little – a voice of reason? This week Tony Little said that the current examination system is “unimaginative [and] little changed from Victorian times…[obliging students] to sit alone at their desks in preparation for a world in which, for most of the time, they will need to work collaboratively.” He concludes that while a sharp focus on performance is a good thing there is more to education than “jostling for position in a league table.” Of course, he doesn’t have to worry about Ofsted, Progress 8, or the new National Curriculum, but when you find yourself agreeing with the Headmaster of Eton maybe it’s a sign that there’s something seriously wrong with the system. My original post “Assessment in the new national curriculum – what we’re doing” remains one of the most popular on this blog. Here I will outline how we have refined the model proposed in that post and integrated it with progress tracking, as well as our latest thoughts on assessment without levels and growth mindset. How will we assess in the new national curriculum? Teachers identify the key knowledge and skills students need in order to be successful in KS4 and work backwards to decide what this would look like, if students have mastered it in KS3 – the excellence standard. Teachers then produce a curriculum and assessment framework that allows teachers and students to know what they’ve got to do to achieve excellence. In other words, students entering in Year 7 would be assessed with grades usually between 1 and 4, and move up a consistent assessment scale throughout their time in secondary school. We remain wedded to the notion of criteria referenced assessment, although I enjoyed having my thinking pushed on this by Daisy Christodoulou’s provocative defence of norm-referencing. The problem comes with the assumption that there will be clear criteria attached to the new GCSE grades 1-9; my understanding is that there will be criteria attached to the levels and marks within the new GCSE specifications but that they will not be clearly linked to specific GCSE grades. This will allow Ofqual to apply comparable outcomes and shift the boundaries year on year. Thus we will need to assign criteria to the new GCSE grades on a “best fit” basis, leading to some insecurity and uncertainty within the assessment framework, especially in the early stages. We have not yet decided when we will shift over to 1-9 grades. The existing system will hold up until 2016 at least, and then there will be an incremental shift as first English and Maths, then Science, History, Geography and Languages, then arts subjects move over to the new grades. We also haven’t decided if we’re going to sub-grade them – grade 2c, 2b, 2a anyone? It was a bastardisation of the national curriculum levels; should we be wary of falling into the same trap again? We’re taking a watching brief on both these issues! With the advent of Progress 8 (blogged about here) we have been running an experiment with progress tracking using flight paths (blogged about here). As indicated in that second blog, in the initial experiment we tracked progress in English and Maths from their respective KS2 baselines, and all other subjects from the average points score of English and Maths at KS2. 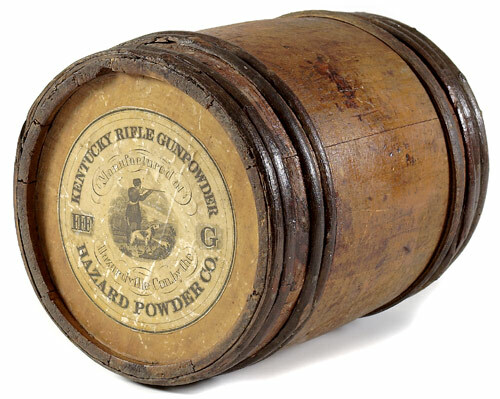 This worked fine for English and Maths, but it didn’t work for other subjects. I know it seems obvious that tracking progress in Drama from a baseline of the average of tests in English and Maths won’t work, but that is the methodology being applied in the Progress 8 measure so I thought we’d better use it. What I’d got wrong, of course (it’s so easy to do!) was that I’d let the accountability framework dictate my practice rather than common sense and what was right for the learners. So, we’ve made a change. We still have the existing template to track progress against an English and Maths KS2 average points score, so I will be able to keep an eye on the Progress 8 headlines, but this refined model will provide the ability to track progress in, for example, Art from their starting point in Art. Which seems obvious, doesn’t it? In time we will convert the “levels” in those flight paths to the “grades” via the equivalences listed in the table above. It may be that in, for example, languages, the baseline will be very low (where students have not studied that particular language in primary) and this may require the model to be refined – watch this space! @MrEFinch @chrishildrew @BeyondLevels How do you know what anyone’s potential is, even your own? Read @MichaelBarber9 in The Learning Game. I overheard a conversation between two girls revising for a languages exam this week. They were working on tenses. One said to the other: “I don’t need to know that; that’s what you need to do to get a B. I only need a C.” Her companion was aiming for a B, so continued to revise it. This is why Michael Gove was so against early entry – the wasteful settling for a lower level of achievement. This is the danger of target grades – if students work hard and get there, they stop. And, unless that target grade is an A* (and even then), that is a waste. This is a substantial shift in my thinking (see one of the earliest posts on this blog, Targets, for my starting point! ), but actually the flight paths approach provides us with a different way to frame the conversation about progress. In the old model I would use formulae and statistical cohort analysis tools like CATs, FFT and the like to predict likely outcomes and “add a bit on for challenge”, then track and discuss progress towards that made up number. 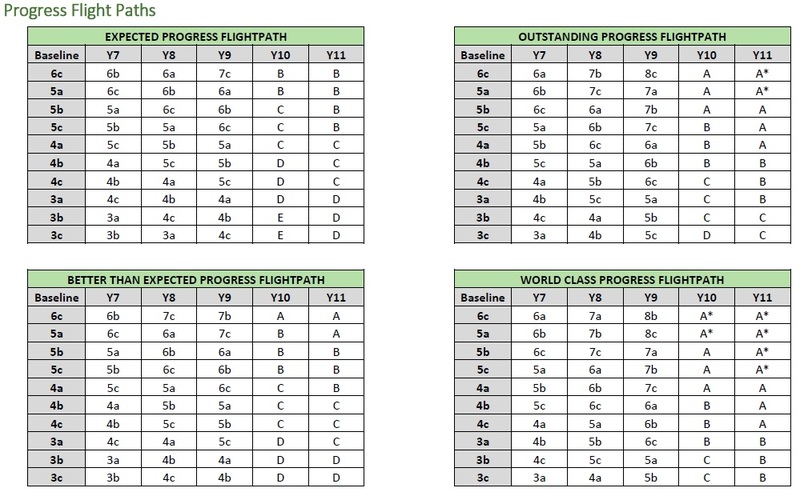 It makes more sense to me now to assess where students are starting from and then feed back whether their progress is below, expected, better than expected, outstanding or world class from that starting point (using the flight paths model). Thus reports to parents might say “Matilda is currently working at a Grade 3 in Science, and this represents better than expected progress from her starting point in this subject”. At the moment this is a tentative, half formed policy shift which will need to be put through the crucible of SLT and Governors – what better way to try it out than to put it to the test on twitter first? The abolition of national curriculum levels remains an opportunity to do something different and better with curriculum and assessment across the whole of a student’s school experience. The fact that each individual school is having to come up with its own system remains a fatal flaw in terms of capacity. The new assessment innovation packages may go some way to preventing this – especially if they are of the quality of the work coming out of Durrington. Whilst there is still a lot of work to do, and a lot of uncertainty, it is still my aim that assessment and curriculum in my school will be the better for the reforms. The idea of becoming a growth mindset school has been over a year in the making. Our Headteacher bought each member of SLT a copy of Mindset for Christmas, and it was the main agenda item at our annual senior team conference. Today I launched the idea of becoming a growth mindset school to all staff at our INSET day. This is the basis of the presentation I did. Our INSET session was for all staff – teaching, support, administrative, catering, site, network, technicians – everyone! It was essential for us, if we’re going to begin the process of shifting the culture of the school, that all staff are working together as one coherent team. It felt wonderful! As people arrived and settled down, we encouraged everyone to fill out a self-assessment questionnaire, with the results to be given out later! You can download our questionnaire (borrowed from John Tomsett and Huntington School) here. Growth Mindset is the idea Professor Carol Dweck, the Lewis and Virginia Eaton Professor of Psychology at Stanford University. 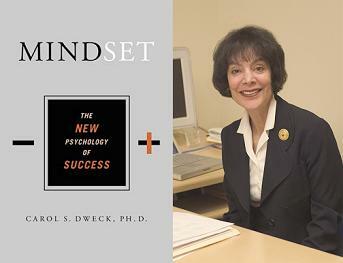 Dweck has conducted a lifetime’s research into mindsets and established an opposition between a fixed mindset (the belief that intelligence is fixed) and a growth mindset (the belief that intelligence can grow). The differences Dweck establishes are well illustrated in this helpful infographic by Nigel Holmes. Even as a child, I was focused on being smart, but the fixed mindset was really stamped in by Mrs. Wilson, my sixth-grade teacher… She believed that people’s IQ scores told the whole story of who they were. We were seated around the room in IQ order, and only the highest-IQ students could be trusted to carry the flag, clap the erasers, or take a note to the principal. Aside from the daily stomachaches she provoked with her judgmental stance, she was creating a mindset in which everyone in the class had one consuming goal—look smart, don’t look dumb. Who cared about or enjoyed learning when our whole being was at stake every time she gave us a test or called on us in class? Our aim as a school has to be to build the growth mindset in our young people, and avoid the fixed mindset that can trap them into a premature plateau and cause them to fall short of their unknowable potential. I have previously blogged about my tentative first steps into neuroscience. As part of today’s presentation I used a Robert Winston video to explain about neural pathways and synapses. The video helps to visualise the learning process in the brain. The first time we try to learn something, it can be really hard. This is because we are making the first connection between neurons across a synapse. If we give up at this stage – as the fixed mindset might encourage us to do – we will never form that neural pathway. If we persist, repeat and deliberately practice the new skill or knowledge, we will create a secure pathway in our brains which will allow us to recall and re-use that skill or knowledge. Establishing a growth mindset works in just the same way. The first time we challenge our fixed mindset approach to something, it’s difficult. Persisting in the fixed mindset strengthens that pathway in our brains and makes it more difficult to challenge. But building and repeating growth mindset approaches makes them stronger and more powerful too. Here Eduardo Briceño outlines some of Dweck’s research studies, and how they apply in particular to education. The most powerful for me was the study into the use of praise. When similar children were given fixed mindset praise (“you did that really well; are so clever at doing puzzles!”) or growth mindset praise (“you did that really well; you must have tried really hard!”) it dramatically reduced or improved their ability to progress onto harder puzzles. Briceño’s examples are clear and well-articulated, which helped to illustrate the application of Dweck’s research into an educational context. Ashley Loynton has run a case study group with the boys in his Year 11 Science class to develop a growth mindset approach. You can read more on his blog, but he outlined the approach that he had taken and shared the impressive results: from Year 10 Core Science achievement of 2Bs, 8Cs and 1D, the students went on to achieve 1A*, 1A, 5Bs, 3Cs and 1D in their Physics mock exam at Christmas. The difference? A growth mindset approach. One boy even stuck the Nigel Holmes infographic over the power button on his XBox, to make him think about what he should be doing every time he went to switch the console on and break the habit of getting in from school and switching straight into gaming mode. That feels like success to me. "@drparnossus: @Ashley_Loynton Happy? They call me the pun master! #ashuallycaring #biscuitclub pic.twitter.com/MxxB64njCl" great thinking! 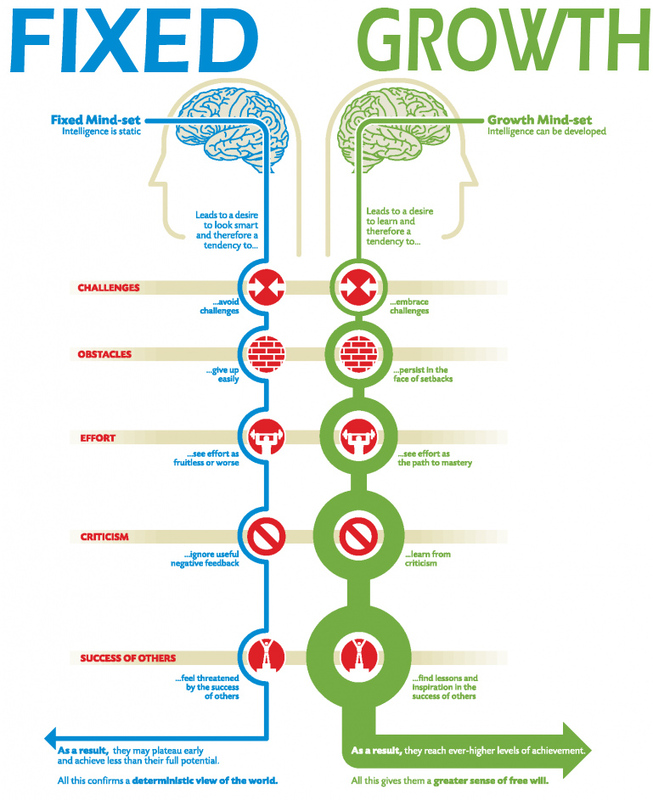 What difference can a Growth Mindset make? 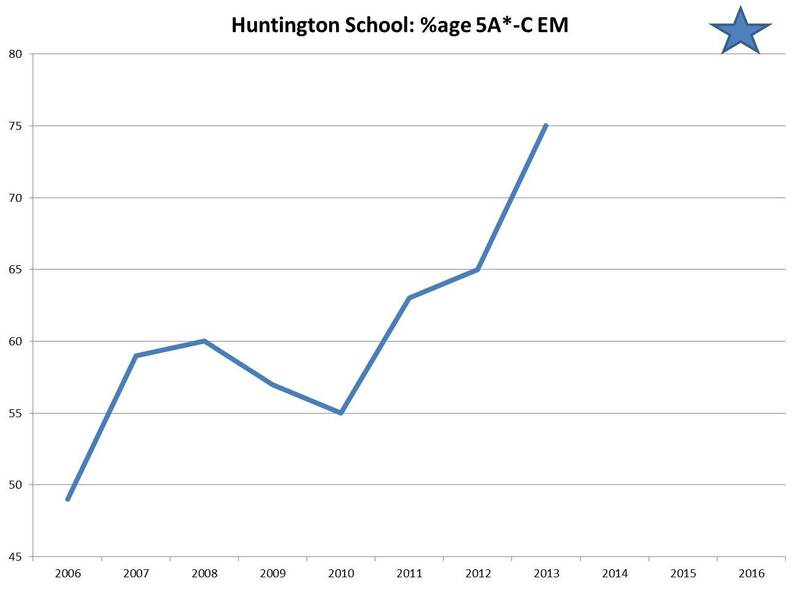 I also used the example of New Heys School in Liverpool which, when faced with closure, adopted growth mindsets and saw their results rise by 39% in two years. You can read Winchester University’s case study of New Heys here. How will we enact a Growth Mindset culture? The buzz in the school hall was overwhelming. Staff were full of ideas. We aren’t launching to students and parents until September, so there is plenty of time to harness that energy and those ideas into a coherent strategy. It’s really exciting! Recognise that you have a choice. Talk back in your growth mindset voice. Here is the Prezi I used in the INSET session. If you can’t see the embed, click this link. I will be updating you on the progress of this project on this blog over the coming months – with the first being our new teaching and learning approach! Watch this space…the Trojan Mice are coming! Cognitive science – how the brain works – is quite important to teaching and learning. So why is it that it’s only been in the last three years of my career (which started in 1996) that I’ve learned anything about it? What’s even stranger is that I didn’t notice the lack. I taught, led departments and cross-curricular teams, developed curricula, mentored new trainees, and never once stopped to wonder whether I was missing something – until blogs opened my eyes. 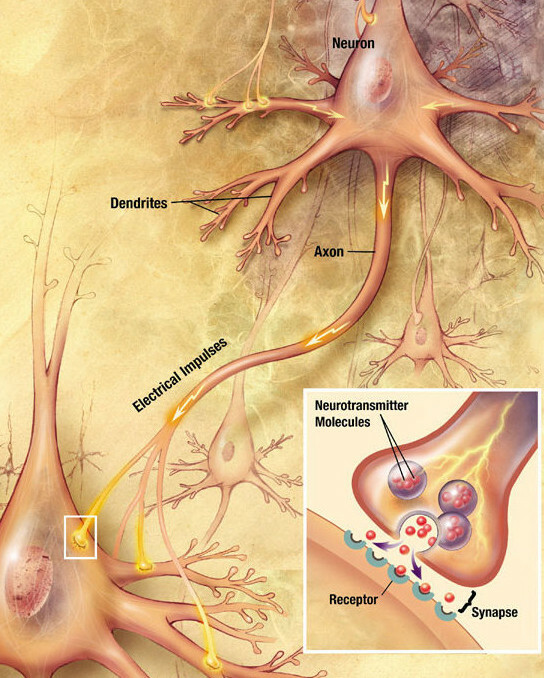 Neurons are brain cells; synapses are the connections between neurons. When learning takes place, a new synapse is formed. At first, this connection is fragile and tentative, but every time it is used again it strengthens. Eventually, well-trodden pathways between neurons become networks which can be travelled rapidly, instinctively, and unconsciously. This is why I can drive my car without really thinking about it, but why I need to look up the year of Shakespeare’s birth every time I want to know it. It’s also why our brain can play tricks on us, looking to run through well-established neural networks even when the situation demands a road less travelled. Neural or synaptic plasticity is the ability of a synaptic connection to develop in strength and efficiency. It is why, if we want students to learn things, we need to get them to repeat them, and why revision – seeing things again – is such an important process. The formation of these neural networks in our brains means that we need to plan for learning which encourages repetition and channels students’ energies into building strong, resilient and efficient synaptic connections. Covering it once and moving on just won’t cut it. In my amateurish way, I think I can see why the growth mindset makes sense as an approach. It seems self-evident that the forming of new synaptic connections and the development of strong neural networks is “growth” in the genuine physical sense – the formation of a new or stronger connection in the biology of our brains. I felt slightly uncomfortable with Dweck’s “the brain is a muscle – it gets stronger the more you use it” idea, which seemed over-simplistic. But now I can see the roots of her metaphor in the growth of the brain’s synaptic connections. Every time I teach now, I think about what is happening in the brain. I can’t believe I never did before. But then, I didn’t know it before. Now I do, I think about it all the time. And that’s how learning works, isn’t it? Post script: here are twelve mind-bending facts about the brain from Buzzfeed as a bonus assembly/tutor time/thunk activity! This week the DfE finally published the 2013 Teachers’ Workload Diary Survey. Primary teachers work for an average of 59 hours per week; secondary 55 hours. Headteachers put in 63 hours per week at secondary. In response to the survey, I had the idea of blogging my diary, to show what a typical week for a secondary deputy head was like. I soon realised that this had all the makings of a vanity project, and it seemed self-indulgent. All teachers work hard, all teachers put the hours in; I’m nothing special. How could those hours possibly be worth it? Why on earth would anyone want to be a teacher? Shaun Allison has been blogging the “bright spots” he has seen at his school. It’s my privilege to be in a similar position to Shaun, and I’ve witnessed some superb teaching across the curriculum this week. However, what has struck me more than anything is the other stuff that makes a school such a fabulous place to be. Last week, the performing arts team put on Much Ado About Nothing. Kev Bartle has blogged before about the importance of the school production in the school experience. One day I will write about writing and directing three school shows myself. This one, however, was a triumph. Two casts, in the round, every word clear as a bell and interpreted deeply and powerfully. I have seen plenty of less impressive professional Shakespeare productions. Two staff were off with our cheerleading squad, acquitting themselves with distinction in the senior division against adult competition. The previous day, whilst Much Ado was preparing for its Saturday matinee, our Young Enterprise team “Go Appy” were at a trade fair in Cabot Circus in the centre of Bristol, demonstrating their business idea of a self-created app on iPads and receiving feedback from passers-by and potential customers. Also last week, the usual round of fixtures continued including victories for two Year 7 football teams. This week rehearsals continue for our Singfest choral concert, and preparations for the Festival of Movement for our gymnasts, cheerleaders and martial artists. Our badminton team will be representing Avon. Before half term our Dance Festival had over 300 performers. Over half term – in the holidays – our staff were with students in Salamanca on a Spanish trip and in Washington DC for history. Tonight, a French teacher was at school until 7pm meeting with parents about the French exchange. On Monday next week our Year 13 students will present their Extended Projects in a full exhibition. Today I was rehearsing with the staff band for a Battle of the Bands event later in March. On Thursday all staff will be wearing badges publicising their favourite books for World Book Day, and Year 7 will be trying to “collect” as many teachers’ favourites as possible – as befits a school featured in NATE‘s latest magazine for generating a whole-school reading culture. I don’t think Chew Valley is unusual. Teachers up and down the country are giving their time, and giving themselves to these experiences for young people. Yes, in state schools too. That’s why the hours are worth it. I know the lessons are the focus, but (as Geoff Barton wrote recently) school is about more than exams. The other stuff matters. It’s what goes on beyond the classroom that creates the beating heart of a school, and weaves it into a community. That’s why it’s worth it. Last month: Dance festival, Much Ado, Cheerleading classic, Young Enterprise, sports victories & defeats. Ofsted can’t measure these things. When I listened to John Tomsett speak about his whole-school growth mindset approach at #TLT13, I felt genuinely inspired. John has helpfully summarised his talk here. Head of Year and science teacher Ashley Loynton, who was sat next to me, is currently running a pilot project at our school ahead of a wider roll-out of growth-mindset strategy, which you can read about here. One of the most interesting aspects of this development for me is testing my own thinking about growth mindset. Do I really buy into Dweck’s ideas? Harry Webb has sounded a note of caution, and I take the points he makes in his blog about the dangers of a growth mindset bandwagon being misunderstood and misused. However, the blog which really got me thinking about my own approach to growth mindset was Mark McCourt’s Every Single Child Can Pass Maths back in March. Mark is an ex-colleague of mine and I have complete faith in his assessment of things educational. His excellent blog argues that, given the right conditions and approach, every single child can pass Maths – i.e. become a functionally numerate mathematician at Level 2 standard. So the question I pose myself as a Deputy Head in charge of the curriculum is, do I believe it is possible for every single child to “pass” Maths and English at Key Stage 4? It is very clear that some in the political sphere do not. Dominic Cummings, ex-special advisor to Michael Gove, argued in his paper Some Thoughts on Education and Political Priorities that genetics has a far greater influence on educational outcomes than teaching. This week, Boris Johnson has poured scorn on the 16% of “our species” with IQs below 85 with a clearly deterministic view linked to Cummings’ philosophy. I reject these approaches instinctively – they make my skin crawl – but I need to force myself to examine them rationally. Am I wasting my time? Are there some kids who, no matter how hard we try, are never going to pass Maths and English? The conclusion I’ve reached is that I think that Johnson, Cummings and comparable outcomes are wrong. Plain wrong. And that I do, as Mark McCourt does, genuinely believe that every child can pass Maths and English with the right conditions. I could not bring myself to stand in front of a class if I genuinely believed that some of them had been born incapable of succeeding. But of course they don’t all succeed currently, so what needs to change? 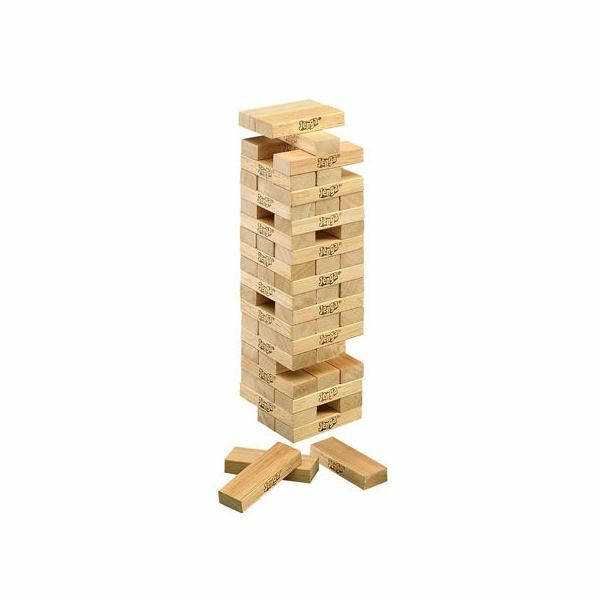 We need to get the early basics right – the building blocks of successful literacy and numeracy must be secure or the whole edifice will tumble. The accountability system at primary school encourages teachers to move children onwards and upwards to the next level when it should be encouraging complete security at the level below. As I argued here, I don’t blame Year 6 teachers for coaching children to the new Level 6 tests but I worry about the security of the level 5 work underpinning it. The role of the family is vital – this month’s #blogsync deals with this topic and Tom Sherrington has written with characteristic vigour about the benefits of the “pushy parents” and the cognitive gaps between rich and poor. One of my most popular posts dealt with the Matthew Effect which argues that those who are brought up in word-rich environments where families value education have an intellectual and cultural capital which allows them to progress more rapidly still, whilst those who are not have nothing to grip on to education with. Changing the culture of those families who do not value education is a lifetime’s work, but there is no more important work for a teacher than that. All abilities should work together – hiving off the most able into separate streams, sets or schools sets a cap on the aspirations of those left behind whatever numerical cap is dictated by budget or facilities. Kenny Pieper lays out the case for all ability education here, and I have argued about the social importance of mixing all abilities and social backgrounds here. If a student is in a class – or a school – where they never get to see what a C looks like, much less an A*, how can we hope that they will aspire to achieve one? The core should be run through the whole curriculum – literacy and numeracy are the keys which unlock other learning. Every teacher should be developing knowledge, understanding and skills in these areas every day by providing explicit teaching of the literacy and numeracy elements of their specialisms. Requiring deliberate practice of literacy and numeracy skills should be part of the repertoire of every teacher, not just in a box-ticking “literacy across the curriculum” add-on but in a fundamental, foundation stone way. We should abandon Key Stages so phases can work together – some students arrive in Year 7 too far behind for secondary schools to close the gaps enough. Every week in #SLTchat somebody mentions the importance of EYFS. I find the divisions into key stages unhelpful as it implies a shift where there should be a continuum. Anything we can do to collaborate and work together cross-phase is a must if we as a system are to turn out literate and numerate adults. I look forward to hearing your thoughts in the comments or on Twitter. 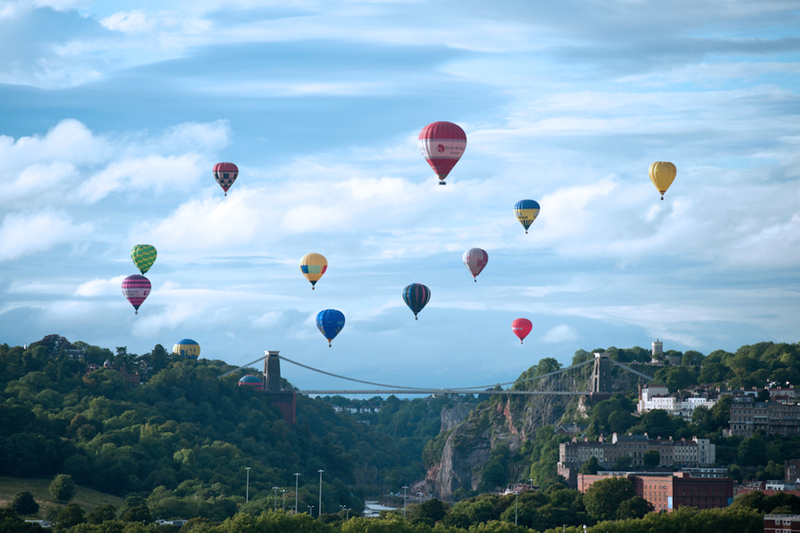 KS2, KS4, Level 6 and Progress 8 – who do we appreciate? In 2016, secondary schools will be held accountable to a new set of measures including Progress 8 and Attainment 8. These measures were announced in October and I have been reflecting on the implications for schools. In response to the consultation I was broadly in favour of making schools accountable for the progress of all students rather than how many we can push through the C/D boundary. I think it is a real step forward that schools will be accountable for turning Es to Ds and As to A*s as well as Ds to Cs. However, there are a few issues that worry me. I have no particular issues with the Key Stage 2 tests in Maths and English; I don’t really have enough specific knowledge of them to criticise. Clearly it is the only baseline we have to measure progress from KS2 to 4. However, just because it’s the only one doesn’t necessarily make it right. I’m sure statistically there must be some basis to show that progress from this baseline to a GCSE result in, say, Art or PE makes sense with a national dataset. But I found it hard to convince PE teachers that measuring progress in PE against an English and Maths baseline was a fair, right and just evaluation of their performance, even if that GCSE only formed one tenth of the best 8 (since English and Maths count double). I know that primary school colleagues have a hugely detailed and thorough knowledge of their pupils’ abilities across the curriculum, and especially in Maths and English. I’m sure it far outstrips the accuracy of a secondary school teacher’s assessment if only by dint of contact hours and therefore assessment opportunities. However, the Key Stage 2 tests are the primary accountability measure by which primary schools are judged and it is therefore in their interests to ensure that pupils achieve as highly as they can in those tests. I know that this can lead to coaching for the tests in exactly the same way as Key Stage 4 teachers focus the majority of what is taught in Year 11 on what is on the exam – you’d be mad not to. It is therefore likely that a proportion of the results achieved do not reflect secure performance at that National Curriculum Level, and that secondary schools need to ensure they are secure before they can progress. What is supremely ironic is that primary schools have already adopted a new National Curriculum without levels, although their accountability is dependent on tests with levelled outcomes. In turn, secondary accountability is dependent on progress from those levels. As shown in the above tweet, those anachronistic levelled tests are will be phased out after 2015 to be replaced by an as-yet-unannounced new test based on…something else. At the same time GCSE grades will be replaced by the numerical 1-8 system, meaning that in the first five years of Progress 8 we will be measuring progress from an untested baseline to a new and untested end point. #SLTchat new KS2 test not based on levels + new GCSEs without alphabetical grades = confusion central! Total clarity needed. It’s all very well for the consultation response to state: “pupils with a point score of 29 on their Key stage 2 tests achieve, on average, 8 C grades at GCSE” but, when the measure is introduced, neither the baseline nor the end point will exist in this form. At the same time as all this is going on, the ability to award Level 6 has now been introduced at Key Stage 2. You would be a rare Year 6 teacher or primary school leader indeed not to want to get as may students to that new level as possible. However, how many of those level 6 successes will be pushed up before they are fully secure at Level 5? We have had a handful of students arriving in Year 7 over the past few years teacher assessed at level 6. Suddenly this year we are expecting dozens. This is not a significantly brighter cohort but the expectations for the expected three levels of progress KS2-4 will be massively different. 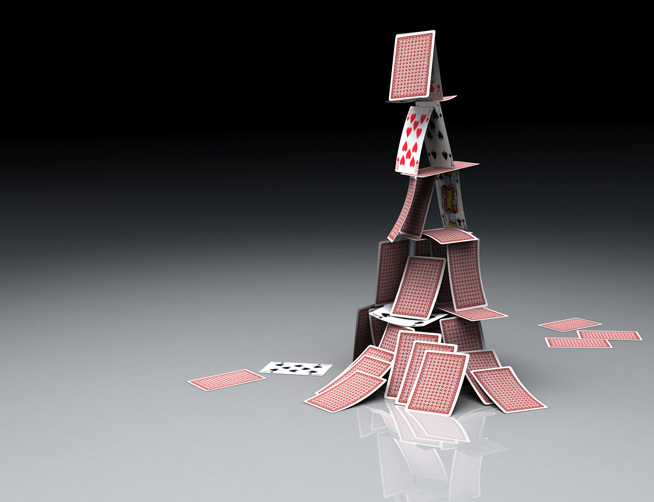 Tom Sherrington (@headguruteacher) explains in The Data Delusion how the assessment regimes on which we depend for accountability are a house of cards with very little direct relation to what a student has actually learned. David Didau (@learningspy) explains that what our assessments actually measure is performance, not learning in The Problem with Progress. Invariably accountability will drive curriculum and teaching and learning decisions but I worry that their foundations are so insecure that pedagogy and learning may be lost in the confusion. It may of course be that I’ve completely misunderstood aspects of Progress 8, or missed something completely obvious. I’d welcome any corrections, clarifications and reactions in the comments below, or on twitter. When I took my GCSEs in English and English Literature (in 1991) they were 100% coursework. I wasn’t alone; according to the 2006 Review of GCSE Coursework from QCA (found here) about two-thirds of 16 year olds in the early 1990s were taking GCSE English through syllabuses that had no examinations. Much has changed since then, and all 16 year olds who take GCSE English in summer 2017 will do so following syllabuses with 100% terminal examinations (as announced by Ofqual). Coursework has been part of my Key Stage 4 experience as a student, trainee, teacher, Head of Department and Senior Leader. 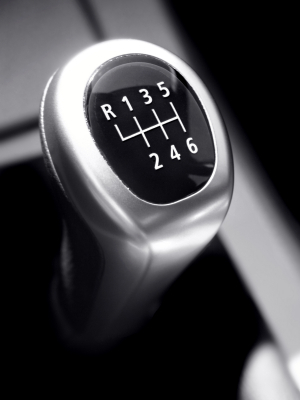 Its removal requires a complete shift of mindset. Curriculum design, long and medium term planning in English has always been about fitting the coursework (or latterly controlled assessment tasks) into the two years to form a coherent programme of study around the assessment tasks. No longer. At this point in time, this feels like a blessed relief from the millstone of controlled assessments, and an opportunity to open up curriculum time to learning, but it will feel very different. It will also require a mindset change for students. I have felt uncomfortable for some time about the prevalent attitude of “will it count towards my GCSE?” amongst students I teach. The unfortunate truth at the moment is that if it does, most will really try and put in every effort. If it’s “just practice” or, heaven forbid, an assignment merely to develop or secure understanding, it doesn’t get the full focus of a “proper assessment”. I will be glad to see the back of this distinction as it will allow and require a full focus on the process of learning in every piece of work throughout the course. 5.44: The environment for GCSE and A levels has changed. Twenty years ago there were no achievement and attainment tables (formerly performance tables), no national or local targets related to examination grades and no link between teachers’ pay and students’ results. The environment now is far more pressured and in these circumstances, it is likely that internal assessment of GCSE and A levels as presently practised has become a less valid form of assessment. This is undoubtedly the case. Teacher assessment is still the best way of assessing student progress and learning (although, as David Didau asserts, measuring learning is a horrifically complex business). It should still be the basis of teaching and learning in the classroom but only if the sole purpose of that teacher assessment is to measure the child’s progress and identify next steps in learning. If the teacher assessment is also serving the purpose of proving progress to senior leaders and external inspectors in order to maintain the school’s standing in performance tables and the teacher’s own salary, then of course there are vested interests at play which will encourage even the most professional professional to err on the side of generosity. And this is how we’ve arrived at our current situation. The accountability and pay systems have rendered the most accurate and helpful form of assessment unreliable and corrupt. Excellent work, policy makers. I have several tasks as a school leader now to make the most of this new assessment framework. 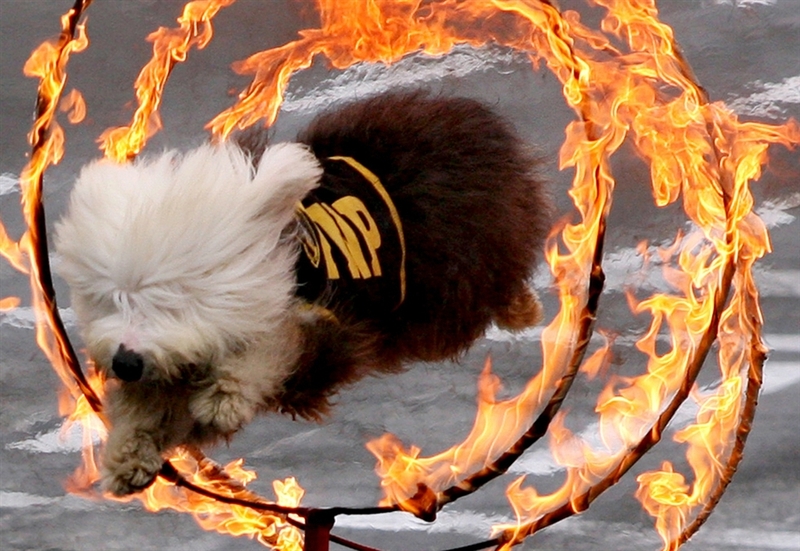 Jumping through hoops – a necessary evil? To help subject teams re-think curriculum design away from the coursework/controlled assessment structures that have been in place for so long. We will have a lot to learn from Maths and other 100% examined subjects here; we will need to make the most of the time freed up from controlled assessments to teach curriculum content (which is a combination of knowledge and skills, of course). To decouple teacher assessment from external accountability and pay progression as far as possible, to allow it to be carried out accurately for the benefit of the student’s learning, parents, and teachers themselves to inform planning. To work with all teachers and students to jump the hoops of the new terminal exams. I hate this part of the job, but recognise that teaching exam technique is vital to success in exams. I will also make every effort to keep this in proportion to the real business of teaching the actual subjects. To continue to do my best to construct a Key Stage 4 curriculum in the best interests of the learners at my school.